Lakeview Orchestra will perform Williams’ Star Wars Suite on Tuesday, November 13th at 7:30PM at the Athenaeum Theatre. 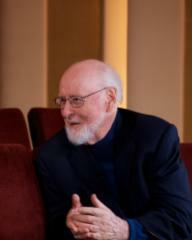 With 51 Academy Award nominations and five Academy Awards, John Williams is the most eminent movie score composer in American history. In addition to his popular and recognizable film scores, including Jaws, E.T. the Extra-Terrestrial, Indiana Jones, Close Encounters of the Third Kind, Superman, Home Alone, Jurassic Park, Schindler's List, Saving Private Ryan, and Harry Potter, Williams has also composed numerous classical concerti and other works for orchestral ensembles and solo instruments. The main title music to the Star Wars movies is probably the most recognizable in film music history. Ever since its 1977 debut in Episode IV: A New Hope, the Star Wars theme has remained enduringly popular among filmgoers of all ages – and undoubtedly played a substantial role in catapulting sales of the film’s soundtrack to over four million copies after its initial release. With its opening orchestral blast, John Williams’ famous cue tells us that we are in for a tale that is larger than life, something extraordinary, and something from the realm of myths. Star Wars Suite is a collection of the most memorable themes from the first trilogy of Star Wars movies: Star Wars (1977), The Empire Strikes Back (1980), and Return of the Jedi (1983).